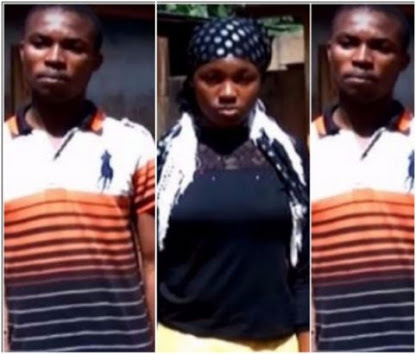 Following pressure from the community and church, the 25-year-old Chiadikobi Ezeibekwe of Agba village Ekwulobia in Aguata Local Government of Anambra State who recently announced the marriage between him and his 17-year-old sister, Chibuzor, has renounced the controversial marriage. Chiadi as he is popularly called who spoke to Daily Sun at the Community Secondary School Isuofia in the local government declared that the marriage was no more and was not being talked about again as it stands dissolved. His new stand came just as the Ekwulobia community and the Parish Priest of St. Joseph’s Catholic Church, Ekwulobia, Rev. Fr. Igunatus Onwuatuegwu have fixed March 24, for formal dissolution of the marriage and cleansing of the land according to the church tradition. The young man who is a Parents Teachers Association (PTA) engaged teacher at the school had before now stood to his gun on the marriage, insisting that it was divinely directed. He, however, insisted that nothing outside his pronouncement to members of the family about the marriage had happened. “We just proposed to marry, we have not gone far into it, no dowry, no ceremony. We just said we have accepted this thing, let’s do it, before the thing spread and the whole noise started,” he added.